The wait is finally over. After weeks of speculation and false starts, the trailer for Avengers 4--er, sorry, Avengers: Endgame, officially--is finally here, and we now have our first ever real-deal look at just what we can expect for the MCU next spring. So it's with that in mind that we've taken a fine-tooth comb to each scene featured in the trailer and pulled out every bit of relevant information that we could find, from costume changes to long awaited returns. Here's everything we learned from our first look at Avengers: Endgame, including another devastating confirmed loss. 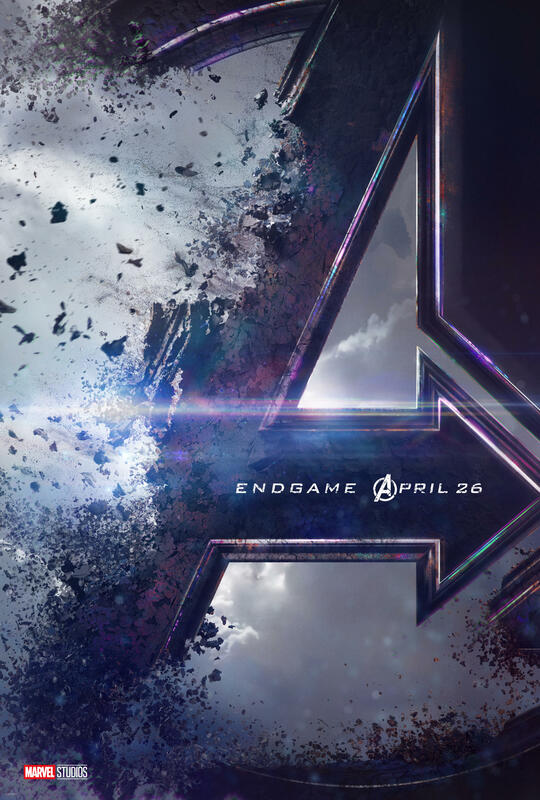 You'll have a slightly shorter wait than expected for the film, as Endgame's release date is now set for April 26. That's a week sooner than the previously announced May 3 date for many markets, including the US. Our first look at Avengers: Endgame is appropriately bleak, featuring a look at Tony Stark living out his very own sci-horror fantasy of being adrift in space with no food, no water, and oxygen that's about to run out entirely. He's recording a heartbreaking message to Pepper on the remains of his Iron Man helmet, which looks like its also on its last legs. If you remember from Infinity War, Tony's suit is now made up of nanobots, which means he's likely been using parts of his suit to form/reform necessary components of the ship or systems within it, meaning he's probably only got enough left to build that much of his armor. You know, if you needed this to be even more tragic. Perhaps more pertinent, however, is the fact that Tony seems to be completely on his own. When Thanos snapped, he and Nebula were the only two people on Titan who didn't crumble into dust. We see a moment later in the trailer that makes it look like Nebula was on board the ship as well, which makes Tony's apparent isolation even stranger--is she still around? And if not, where did she go? It looks like Tony is in the Milano, the Guardian's ship which brought them to Titan in the first place--which would make sense, considering he, Peter Parker and Dr. Strange, crash landed onto the planet after taking over one Corvus Glaive's ship--not exactly an ideal two-way trip. If you couldn't already tell from Infinity War's final shot, Thanos was completely serious about turning it all in and living a quiet life somewhere in the far reaches of the galaxy as a farmer. So serious, in fact, that he's turned his gold armor into a scarecrow. It would probably be kind of cool, if it weren't so insulting to all the lives that were lost. We have no real confirmation of this yet, but Bruce Banner seems to be studying a screen displaying portraits of the missing. Scott Lang, who met a less-than-favorable fate in the post credits of Ant-Man & The Wasp is shown next to her portrait, possibly implying that she too has yet to be found. Her portrait swaps out for Peter Parker midway through the scene who would also be counted as MIA, according to the Earth-based team. We didn't actually see what happened to Shuri at the end of Infinity War, but it's looking like it wasn't great. Despite being the one Avenger around who is capable of autonomous interstellar transport thanks to his fancy new, Bifrost enabled ax, Stormbreaker, Thor seems to have decided to stay on Earth--and he looks pretty pissed about it. This is understandable, all things considered, since it's more than likely that he's currently blaming himself for not going for Thanos's head in the heat of the moment, but it's still a little curious. We can't tell based on the single shot just where exactly Thor is--the framing of the shot almost makes it look like he's being held in some sort of cell--but his civilian clothes make it seem like at least a little time has passed since the fight, and he's stuck around. Clint Barton's notable absence from Infinity War drew the ire of some fans--where was he? What was he doing? Why wasn't he with the team? The answer, apparently, was "Japan" and "because he was crafting a new identity for himself." That identity is Ronin, a codename Clint picked up for a time in the comics that we've been expecting ever since leaked set photos showcased Jeremy Renner in a new costume last year. Ronin is less an archer than he is a sort of proto-samurai who uses swords more frequently than bows. We don't know what prompted Clint's change of heart but, judging by Nat's face when she's sees him, it's coming as a surprise to everyone. Stranger still, he seems to have been fighting a group of people when Nat tracks him down--who, after half the Earth's population was dusted--is left to fight on the streets of Tokyo? We may be mourning the loss of Steve's beard (RIP, taken from us much, much too soon) but Captain America fans can celebrate the return of the fan-favorite blue-and-silver "stealth" suit as a consolation prize. This probably isn't a real plot-point, but it's a great looking suit, and we're going to take our victories where we can for this one. Of course, this isn't the only bit of costuming making a return for Steve. He's apparently kept his WW2-era compass complete with Peggy Carter's photo in it all this time. While this isn't necessarily surprising, it does cast a potentially interesting light on the rumored inclusion of time-travel in the movie--and the shot does look suspiciously similar to the moments in Captain America: The First Avenger just before Steve sent the Valkyrie into the ocean. Steve and Natasha are doing what they can to pull things together on Earth, and that has apparently involved coming up with a plan that, in Steve's words, better work or he "doesn't know what he's going to do." We don't know enough about the plan itself to make any real guesses as to what it might entail, but it is worth noting that the other survivors of the Snap seem to be suspiciously absent from the proceedings. Notably Okoye, Rhodey and Rocket, who were all in Wakanda when everything went south. What are they doing and what part are they going to play? Your guess is as good as ours. One of the biggest post Infinity War mysteries we've had to work with came to us care of Ant-Man & The Wasp, which featured a post-credits scene of Scott being sent into the Quantum Realm just moments before the snap dusted Hope, Hank Pym, and Jan Van Dyne. We've been working on the assumption that this would leave Scott stranded in the Quantum Realm, much like Jan had been--but apparently that isn't the case. At the end of the trailer, Scott shows up at the Avengers compound, asking to be buzzed in. How, exactly, did he manage to get himself out of the Quantum Realm? Did he have help or was he truly on his own?